When he was two years old, Cris “Kesz” Valdez’s father forced him to scavenge at a dump site in Cavite City, situated not far from Manila. His father used to beat Kesz and use the money collected for drugs and alcohol. When he turned four, Kesz ran away from home and lived on the streets, continuing to scavenge off a dump site and to sleep in an open tomb in a public cemetery with other kids. Three years later, he sustained severe burns on his arms, when he fell in a pile of burning tires. 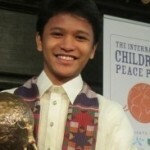 He was rescued and cared for by a social worker, Harnin “Bonn” Manalaysay, who has provided for the boy ever since. Kesz is now the founder of the Bible study and outreach group Club 8586. On his seventh birthday, in 2005, the first one he was celebrating in his entire life, Kesz did not want any presents from himself. Instead, he gave small gifts for street children. Soon afterwards, Kesz, who is now 14, established the charity organization that he has ran ever since, Championing Community Children. Through his organization, Kesz offers homeless children in Cavite City “HOPE GIFTS,” containing packages with clothes, slippers, toothbrushes and toys. His organization has other programs as well. 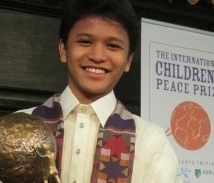 Kesz organizes teaching sessions for street children about hygiene, food and children’s rights and attends public events, where he represents these kids. In his initiative, Kesz is supported by his friends, who also help distribute the care packages and teach the street children. Thus far, the young Filipino’s organization has distributed over 5,000 parcels and helped 10,000 street children.